A modern fairy tale sizzling with genius. Mighty heroes, terrible villains, incredible black-and-white art. 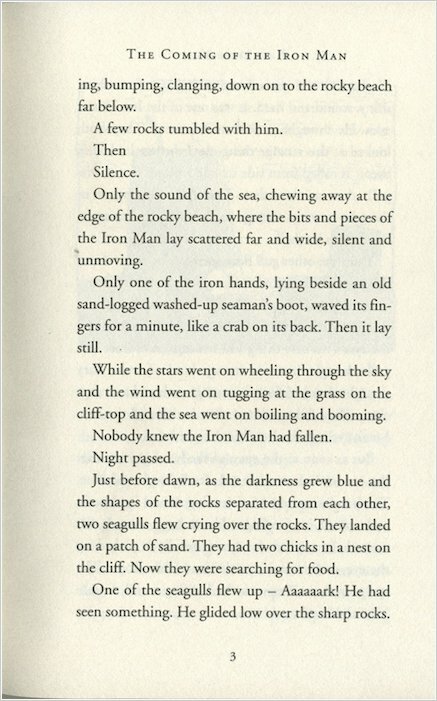 Imagine a superhero story written by one of the greatest poets ever. Now you needn’t just imagine: this is it. At first, the Iron Man wreaks dreadful destruction. He cannot be kept down. But then the terrible Space-Bat-Angel-Dragon attacks Earth from outer space. 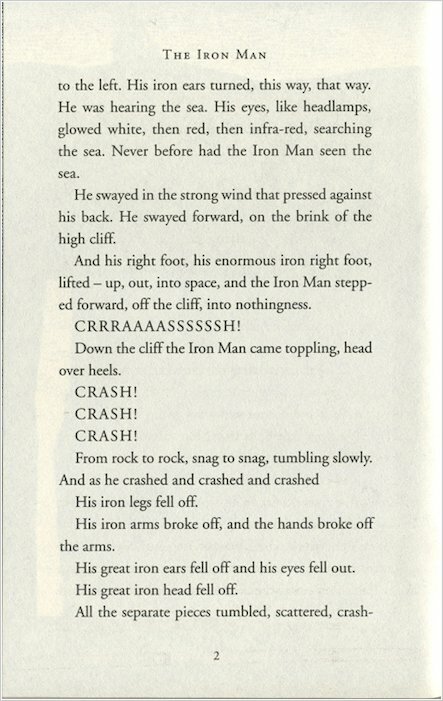 Only the Iron Man can save us… Written by former Poet Laureate Ted Hughes, this is utterly dramatic storytelling that burns with fierce power. Imaginative I liked it very much. ITS AMAZING!!!!!!!!!!! LOVED ITGREAT FOR KIDS WHO LOVE ROBOTS! I liked this book at the beginning but it got worse nearer the end. this is a great book! i loved it! i have watched it and i loved it!!!!!!!!!!!!!!!!!!!!!!!! I have not read the hole of this book yet i am still finishing chapter 2 because we are learning about this book in litracy at school. 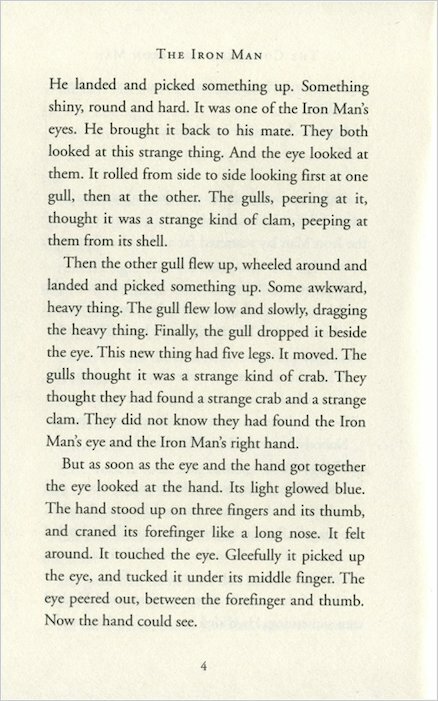 My Teacher read the class it at school and i fell in love with it! I Like how Hogarth and The Iron man work together to stop the Space-bat-angel- dragon but i also like how he is a star and that he liked the sound of war. I love this book! 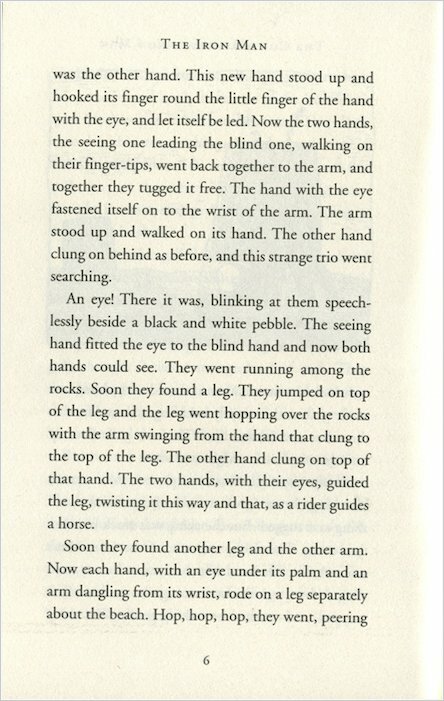 We are in the middle of reading it at school! I WATCHED THE MOVIE OF THE IRON MAN ITS A BIT DIFFERENT TO THE BOOK ONE OF MY FRIENDS TELL ME. 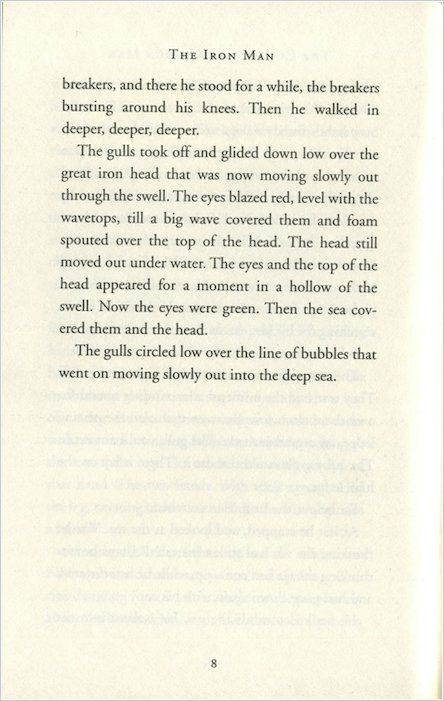 i love this book but i love it when the space-bat-angel dragon is comeing from a star and then land on Australia but the tale was in the indian ocean and the chin was resting on a part of australia but when he landed the pictures frames in london shaked and more. the iron man dares the space bat angel dragon to a contest so the iron man gets some oil and some fire and has a strenth contest and the iron man gets into the fire 3 times but her is scared if he would melt. well the space bat angel dragons burning thing is the sun so he goes up there, well im not telling but does he give up. find out by reading this book i wont tell you so you read it. its a fantastic book and mystirious book. 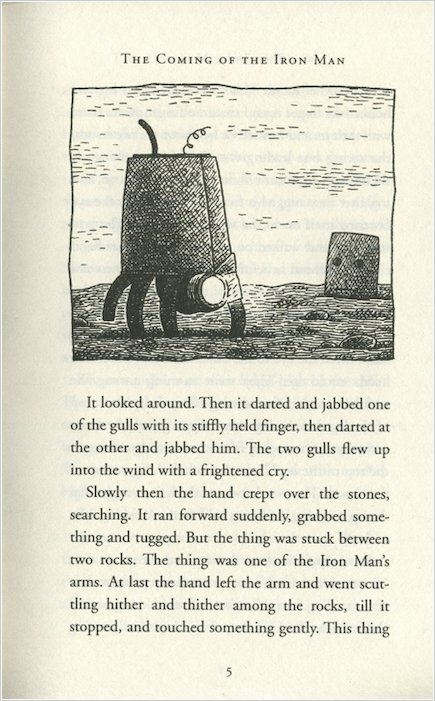 A large metal man, who falls down a cliff and gets repaid. What will happen to him? 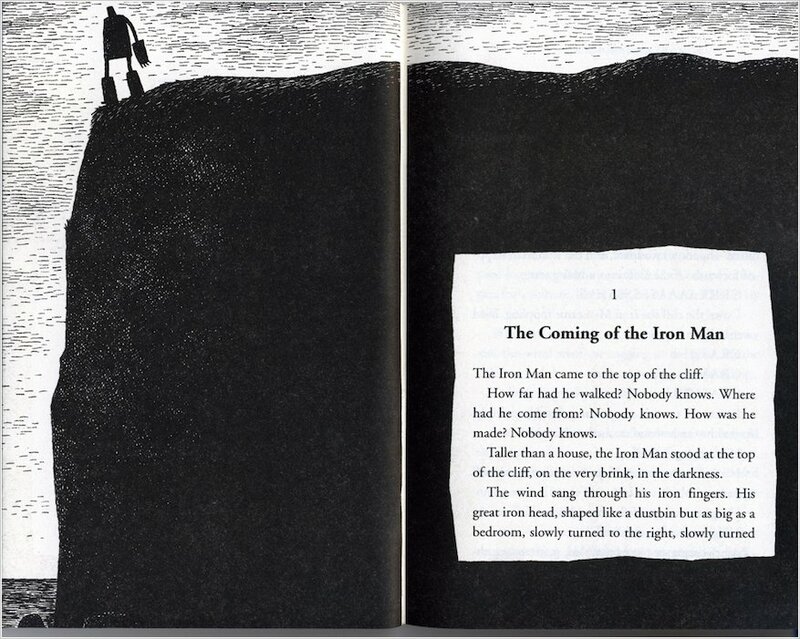 I loved the beginning of the stroy when ted hughes describes the way the iron man looks . The Iron man is a great book that has suspensse and it’s really funny to.Overall the book is perfect. I liked it, not as much as the other people in my book club did though! I would still recommend it though! I will give it, 3/5 stars. I really really really want to read this book, it sounds fantastic!!!!!!!!! Nobody in the world could hate this book!It is one of the best books I have ever read! 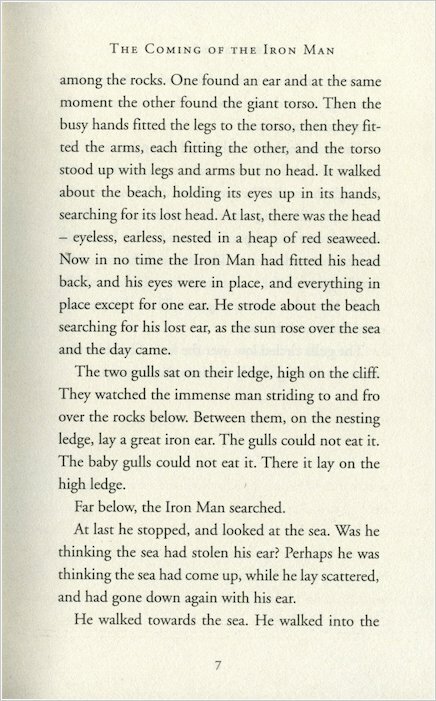 Me and my class read it and we all agreed it was brilliant! I would recommend this book for anybody! 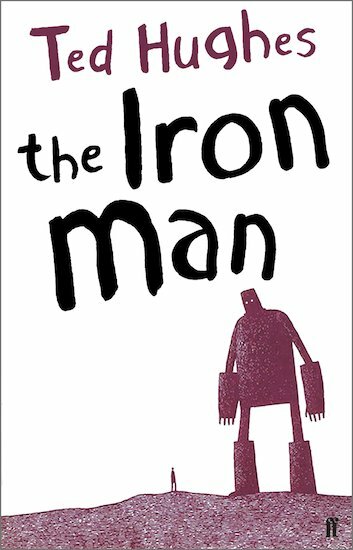 I have read this book in my class and we all thought it was brilliant so i would recomend it.After we had read it i had bought it because i thought it was a brilliant book.if you loved this book try reading the iron man. It was awesome when the space- bat- angel-dragonwas defeated by the IRON MAN!!!!!! I read this book in my classroom. My class enjoyed it but I thout it was O.K.